Healthy Snacks gives families great ideas on what types of foods are healthy for snacks and why eating healthy is so vital to being fit. The literacy guide addresses portion sizes, discusses five rules to live by to maintain a healthy diet, and provides recipes for healthy snacks. With the obesity rate at an all time high and fast food restaurants so easily accessible, knowing which foods are healthy and choosing them is more important than ever. The pictures in the book are actual photographs that are multicultural as well as multigenerational. 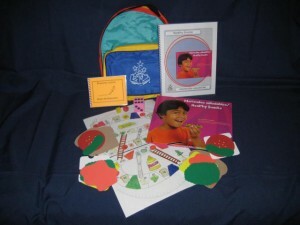 Activity: Build a Sandwich Game in which families play a board game to acquire ingredients to create a healthy sandwich.